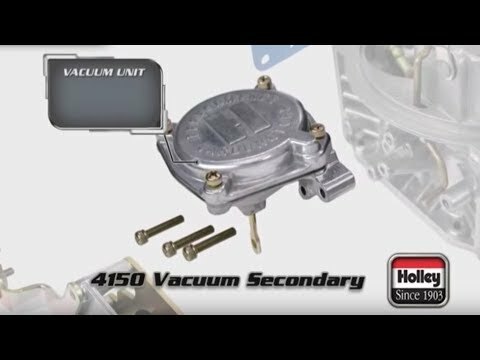 Holley's Street Avenger series carburetors have been taken to the next level. 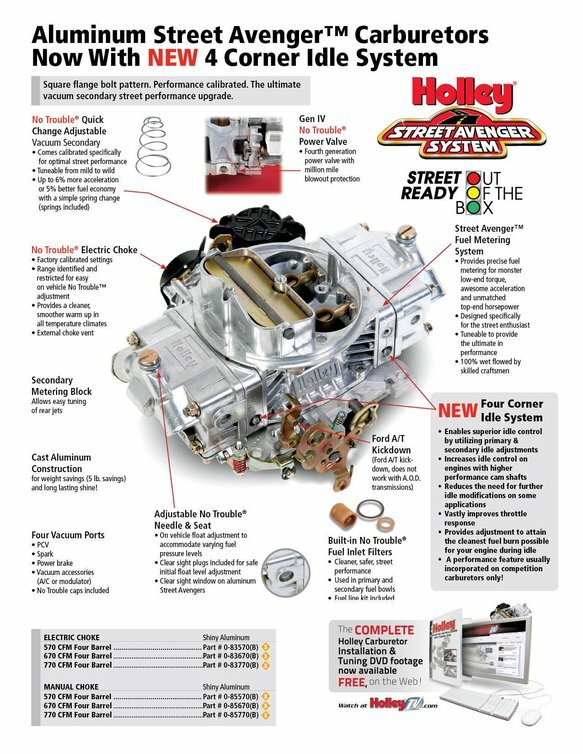 Street Avenger carburetors are known to bolt on right out of the box, so what could be better than a Holley Street Avenger™ carburetor? How about one in aluminum? They save weight and look great. The tumble polished aluminum finish will keep its shine for a long time to come or it can be hand polished to a show quality shine. The new Aluminum Avenger carburetors have the same great features as their zinc counterparts such as a quick change vacuum secondary for easy fine tuning; four vacuum ports for all necessary vacuum accessories; factory preset electric choke for easy start ups; built-in fuel filters; and an included fuel line kit so there are no unnecessary trips back to the parts store. Aluminum Avengers feature the same optimized street calibration as the zinc version so you know they will run great on your vehicle. Another new feature on the Aluminum Street Avenger is a clear fuel level sight glass for easy, no mess float adjustments. 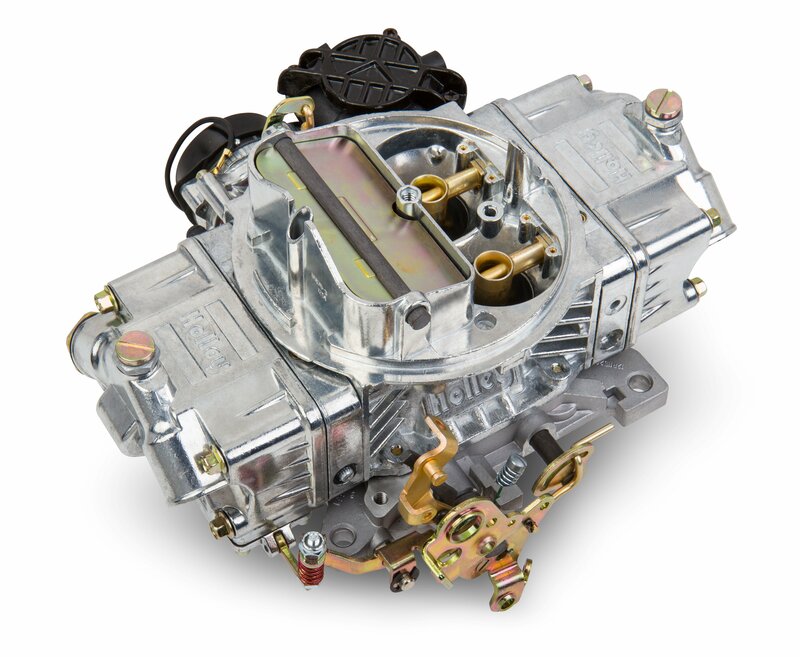 The Avenger series are the first carburetors to have a limited lifetime warranty. With a great warranty like that and the included comprehensive instruction manual, you can count on years of worry free service.